San Diego State University plans to offer a course called "Black Minds Matter: A Focus on Black Boys and Men in Education," that was inspired in part by the Black Lives Matter movement. The weekly course will be open to the public for enrollment in October and will feature various speakers who will talk about how black men are undervalued in the classroom. SDSU professor J. Luke Wood, who helped create the online course, said it will connect themes from the Black Lives Matter movement to issues facing blacks in educational settings. 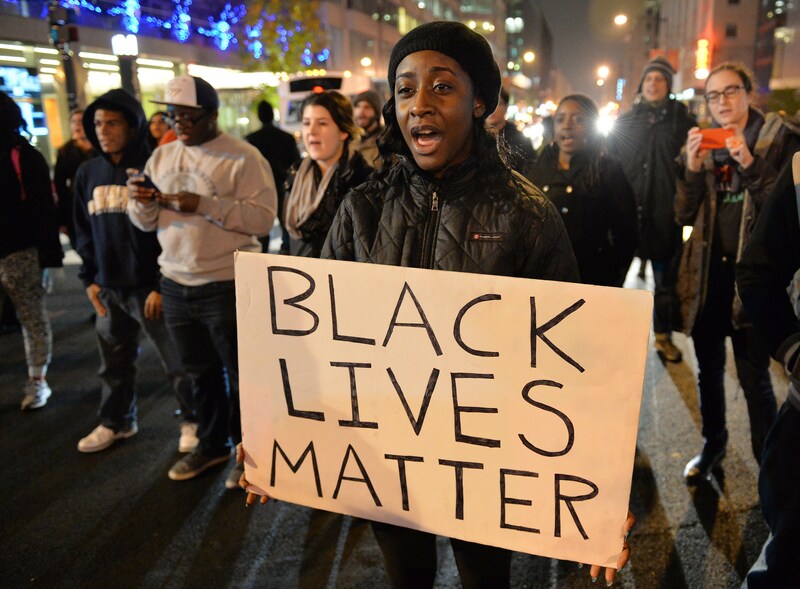 "The Black Lives Matter movement has shed light on two invariable facts. First, that black boys and men are criminalized in society and second that their lives are undervalued by those who are sworn to protect them," Wood said in a video introducing the class. The upcoming course has drawn criticism. Craig DeLuz, a gun rights advocate with the Sacramento-based Firearms Policy Coalition, said a public university should not be offering a course that includes speakers from a movement whose members have been accused of inciting violence. "The biggest concern is they are offering a course based on the Black Lives Matter movement which has promoted violence and segregation and has really little to do with education, let alone presenting a positive image of education," DeLuz said. DeLuz, a member of Robla Elementary School District board of trustees, is organizing a group that plans to ask SDSU to cancel the course. They have not contacted the university yet, he said. SDSU said in a statement that the "Black Minds Matter" course "has a racial justice focus, directly aligned with the mission of the joint doctoral program in Education. This program focuses on social justice, democratic schooling, and equity, as well as the research of the faculty who teach in it." A number of US colleges, including New York University, University of Washington and the University of Miami, now offer courses that include discussion of the Black Lives Matter movement.